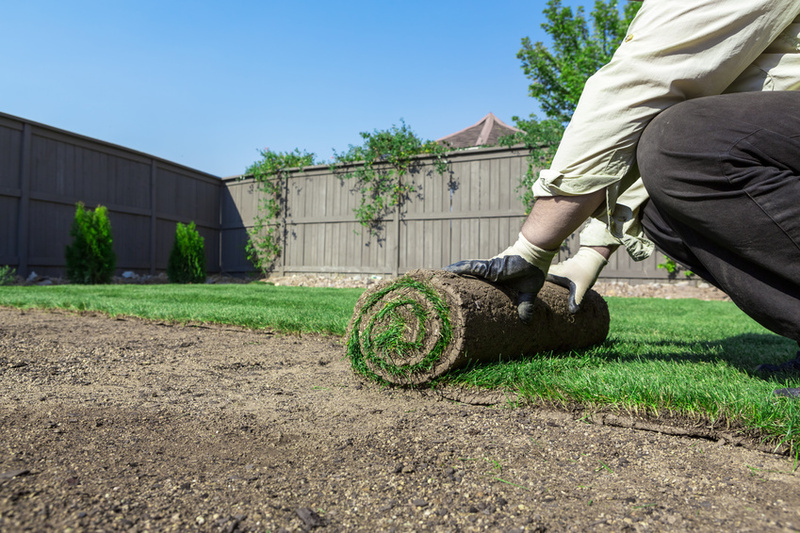 Improving your property value by way of landscaping is something that should be on the top of every homeowner’s list. 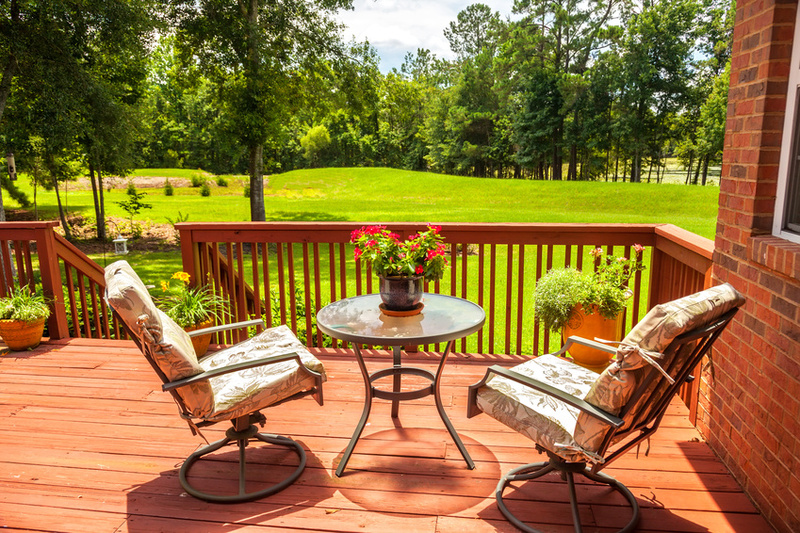 Generally speaking, landscaping can improve a property value by up to 14 percent, so it’s important for homeowners to find ways to maintain and upgrade their landscape as often as they can. Bark Dust is becoming an increasingly popular option for those looking to upgrade and beautify their landscape. As the name indicates, Bark dust or bark mulch is made from the bark of trees. It comes from lumber companies who do not have a use for it and helps the environment by eliminating unnecessary waste.It often varies in color from an orange to a dusty red and looks great in gardens or pathways. The recycled product is very good for your soil and plant growth with its neutral PH balance. The never-ending debate about which type of crop is better, indoor or outdoor, has been argued for decades in the agricultural community. Growers who swear by indoor crops and hydroponic systems will argue that indoor crops are certainly superior, and traditional growers who grow outdoors will forever insist that sun-grown crops are the natural ideal. So which is it? Are indoor crops better or are outdoor crops better? The truth is that it depends on the location, plant, and grower. There are merits to both methods. So rather than trying to find out once and for all which crop is better, it might be more beneficial to list the pros of each. That way, you can make a decision about which is better for you. For the purist and eco-friendly conservationist, outdoor planting seems to provide the best means of growth. Since sun-grown crops are grown outdoors and with natural light, they require fewer supplies and resources to flourish. 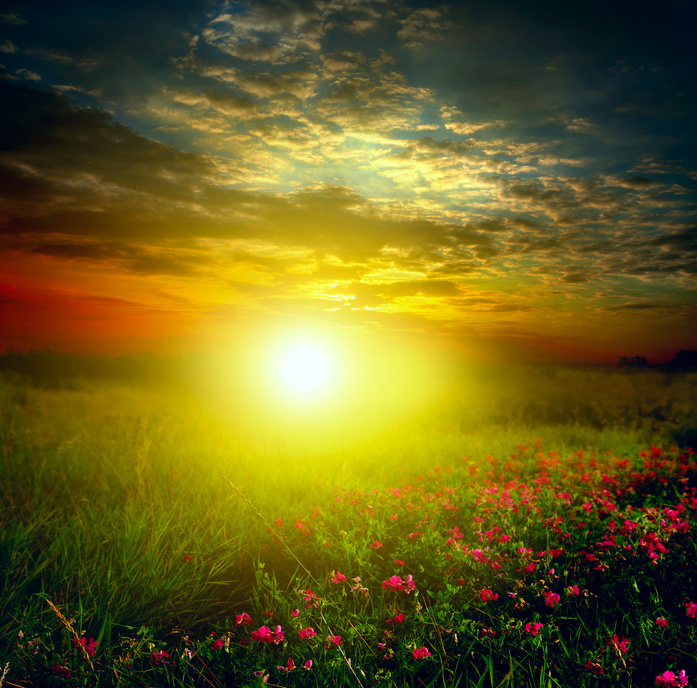 The natural light removes the need for high-intensity lighting that requires lots of energy to operate. That also goes for dehumidifiers, air circulators, flood and drain hydroponics, and most of the other energy consuming grow supplies. 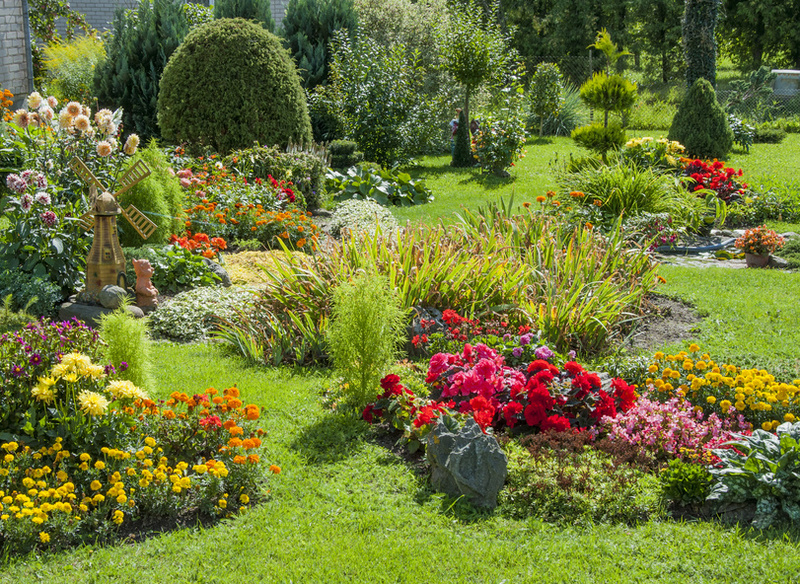 Outdoor plants don’t typically need as much fertilizer, pesticides, and fungicides either, making them better for some environmental conditions. Water consumption is also a plus, considering that natural precipitation can supply a source of water. The other positive to outdoor growing, which is really just a byproduct of the last section, is that it is much more cost-effective — at least for smaller projects. Fewer supplies, equipment, supplemental nutrients, and energy consumption means you don’t spend as much per plant. Which, for the serious growers, can be a big positive. Although, an indoor grower will be able to plant four times the number of crops in a grow area using hydroponics rather than soil farming, so it’s a cost/product situation. Indoor plants provide a steady growth cycle for the year-round growers who like to control every aspect of their crop to get substantial yields. A really nice aspect of indoor growth is the fact that they can be cultivated year-round, which means that an adept grower can essentially grow anywhere and at any time. Even in areas where growth would seem improbable, if not impossible, indoor plants could theoretically be cultivated by a skilled grower. Of course, these areas present more variables in the growth cycle and proper climate control. In some limited scenarios, an outdoor plant may produce a higher yield than an indoor plant due to a more natural growth cycle and the inability for a grow light to duplicate the sun’s light. However, there are numerous other factors of growing conditions that can be controlled with indoor plants, and therefore adjusted to change the outcome. An indoor grower will need to closely monitor and adjust aspects such as humidity, air circulation, stalk support, lighting, nutrients, and watering, to name a few. Of course, if this is done properly, the yield for an indoor plant can be much, much higher. The more skilled the grower, the better the chances for a superior product. Since there’s no one right way to grow, and despite those who may insist their way is best, it’s ultimately up to you. If you want natural crops with less work (less, not zero) and a better impact on the environment, then you might choose outdoor. Then again, you may not have the capability. So find the method that works best for you. Whether you choose outdoor or indoor, you’re going to need nutrients and grow supplies. Contact us today for bulk nutrients and the best hydroponic grow equipment around. Every time you look at one of your countertops, you feel a tinge of disappointment. They aren’t what you want them to be and they definitely don’t properly reflect the design and style of the home you’ve worked so hard to create. You haven’t made any efforts to replace those old, ugly counters with new ones yet because you don’t have the time to figure out what works. Well, we’re here with some countertop inspiration. If you’re ready to finally upgrade your kitchen countertops, here are some trending tips for kitchen design in 2018. When it comes to modern countertops, there are so many different materials that you can use, which is why you’ve had such a hard time picking one. Wood has reappeared in the past few years, but you aren’t sure if that’s the right choice for your kitchen. Granite has always been a popular choice, and natural stone can really class up your space. However, this year, more homeowners are opting for the clean and stylish appearance of quartz instead. Quartz is becoming increasingly popular due to its elegance and aesthetics, on top of the fact that it is one of the most hygienic options and doesn’t require re-sealings. That means it is super resistant to stains as well. Quartz can even come in multiple colors and patterns, which means you can match it exactly to your kitchen decor. Today, many homeowners are looking for character in their countertops. Veining and burl patterns are becoming more of a popular demand with homeowners everywhere due to their unique ability to draw the eye. They also add a bit more personalization and character to the kitchen as well. In general, homeowners are looking for accent features that draw the eye. Bright colors are on their way out of kitchens all over the world, so it’s time to forget about millennial pink, mint, and summer pastels. Homeowners are instead choosing to utilize more neutral tones and colors. Neutral colors can easily fit into any home decor and create a uniform yet visually appealing accent to any kitchen. The transition to neutral colors and tones is typically matched with lots of natural lighting to give the perception of a much larger space. When it comes to kitchen remodeling projects, 95% of homeowners update their countertops, making it the most popular feature to upgrade. Whatever your choice for countertop material, don’t feel as though you have to follow this advice. You can opt for soapstone, laminate, bright colors, and patternless options if you want to. If you still aren’t sure which direction to go, then it might help to consult an expert to make your kitchen look absolutely flawless. Summer’s nearly here and the temperature continues to rise. Soon, your air conditioning unit will be running day in and day out to keep your family cool. Unfortunately, there’s nothing cool about a high electric bill at the end of each summer month. But how can you keep your cooling costs down without sweating the summer heat? Some homeowners believe you need to suffer through the heat to keep your cooling costs down. But that’s not true. Make sure your HVAC system is ready to run. Approximately 42% of homeowners will call a professional to perform HVAC maintenance. Yet, many homeowners will wait until their system needs an HVAC repair before calling a professional. Waiting to get a repair done can make your air conditioning unit work harder to cool down your home. The harder your AC works, the higher your electric bill. That said, have a professional take a look at your system before the summer officially starts. Set your AC a degree or two higher. 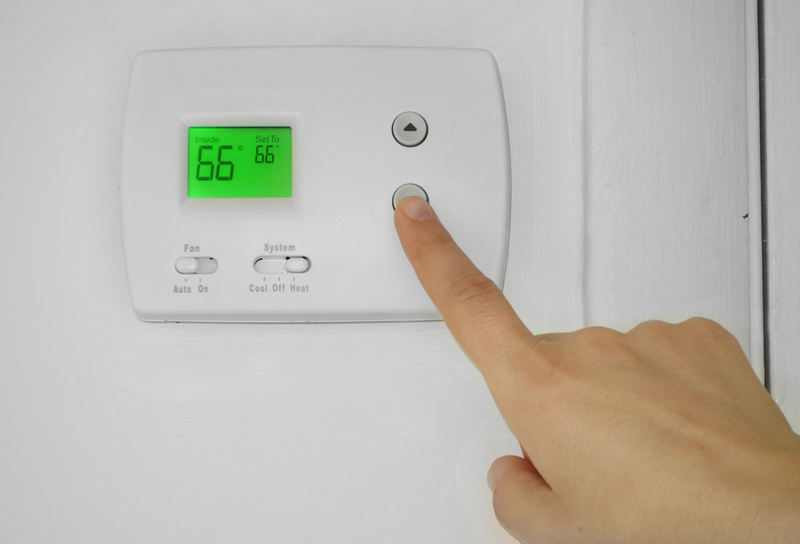 It may be uncomfortable to set your HVAC system to 78 degrees Fahrenheit instead of 72. So instead of making yourself sweat to save money, set your system only a few degrees higher. You won’t have to worry about sweating through your clothes, but you won’t have to worry about your bills as much either. Save cleaning activities for the evening. It can be tempting to get your housework done during the day. But your home can quickly become an oven with so many machines running. When your washing machine, dishwasher, and oven are all going at the same time, you can really heat up the house. This makes your HVAC system work overtime to keep things cool. Try to keep your housework to the evening when the sun’s gone down and isn’t cooking your home. You can also do your dishes by hand to keep the dishwasher from heating up your house. River rock is extremely popular among homeowner. That being said, river rock isn’t the same thing as the gravel you’re likely thinking of. River rock is typically one to two inches in diameter and has a smooth surface. While you might have heard that there are many uses for landscaping rocks, it’s important to remember these pieces of washed and smoothed gravel are also extremely useful. Considering that, here are five surprising uses for river rock in and outside of your home. Water is everywhere. It’s the key to life, after all. As a result some people don’t really think much about the water they use to drink, bathe or wash their dishes. When you start to notice some hard water build-up in your shower or realize your tap water has tasted funny for the past few days? It can even come as a shock! Clean water is more than just a pleasant addition. It’s key to living a healthy and fulfilling life. The benefits of water softeners and the reverse osmosis system is starting to become better known among homeowners across the country, both of which can easily fix those frustrating issues impacting your water supply. Some industries move faster than others. Some see relatively steady growth year after year, such as the field of hardscaping, baking and independent breweries. Others are in such high demand it’s difficult to keep up, such as dental hygienists and physical therapists. When it comes to welding? One of the fastest growing industries in the United States as we know it is the vast field of welding, soldering and brazing. 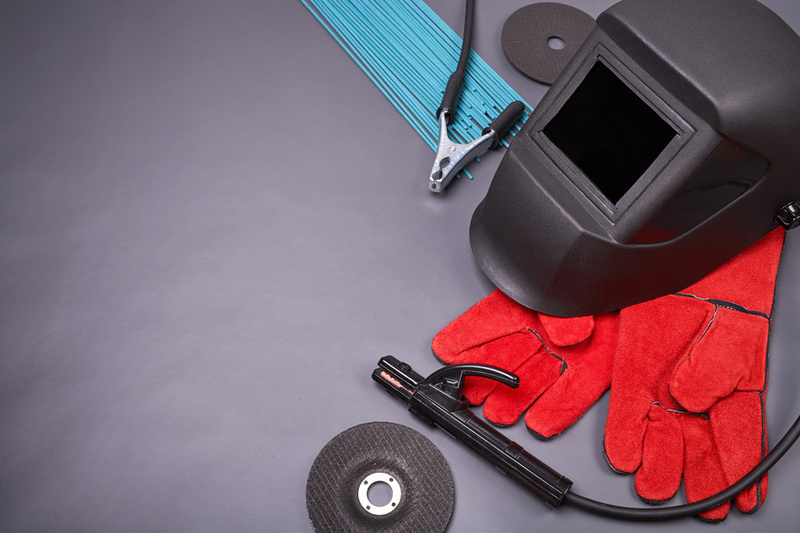 The U.S. Labor Of Statistics has released some interesting data on the desire for professionals good at repairing and welding, which stands to reason equipment industries are only going to follow suit. Is your knowledge of the standard non sparking tool kit and pipe alignment clamp up to par? Find out below. ICF home construction has become more and more popular with the tangential growth of green building materials. ICF products such as green building materials have been found to be hugely beneficial, both in their overall price as well as the reduced footprint that they leave on the environment. More and more property owners are considering green building materials for their homes as well as for their commercial buildings, and the rates of ICF home construction have only continued to increase in recent years and only expected to continue to increase in the future as it unfolds and green building materials because much more commonplace all throughout the United States. In the last post, we discussed some maintenance steps necessary for your AC unit to work as efficiently as possible. Studies show that regular maintenance of your commercial HVAC system will reduce unexpected breakdowns by about 70% to 75%, and having an understanding of the full range of maintenance procedures can help your air conditioner work as efficiently as possible throughout its entire lifespan. 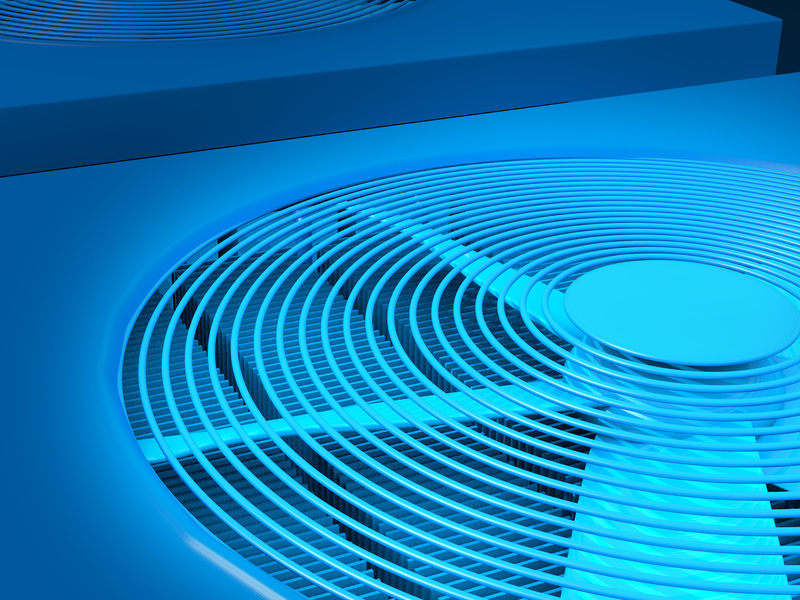 Here’s part two of our homeowner’s guide to optimizing air conditioner efficiency. Near your air conditioner’s evaporator are the condenser coils, and both of these components of your air conditioner need to be cleaned every so often, as they accumulate dirt and debris over time. When too much debris gathers around the coils, it not only reduces air flow, but it insulates the coil and makes it harder for it to absorb heat. Look at the area surrounding the outdoor condenser coils; if it’s particularly dirty or dusty, or if there’s a lot of foliage in close proximity, chances are the coils will build up dirt faster than normal. It’s best to consult an HVAC professional to assess this problem and help you find and maintain a solution, but fortunately, the cleaning process tends to be relatively simple. “Use a soft brush to dust off the coil, then spray the coil with commercially available no-rinse coil cleaner (available at home improvement stores). The spray will foam up and then drip into the drain pan. Clean out the drain pan with soap, hot water, and a little bleach. Then, pour a cup of 50% bleach/50% water down the drain. To keep the drain clear longer-term, place a commercially available drain pan tablet in the pan. This will inhibit future algae growth,” writes Jeff Wilson on DIY Network. Finally, it’s important to mention that over time, it’s not uncommon for the aluminum fins located on the evaporator and condenser coils to bend and affect airflow. Straightening the coil fins isn’t too difficult, but unless you know exactly what you’re doing, it’s best to consult an HVAC professional. Ultimately, understanding these essential maintenance tips is the key to maximizing the efficiency of your AC unit. Let’s face it, residential air conditioning systems (commonly referred to as AC) are simply essential in most places during the long summer months. Without a properly functioning AC system, we’d be seriously uncomfortable – and some of us (particularly the most susceptible, like the elderly and the very young) would even face health repercussions such as heat stroke. In fact, more than half of all homes, more than sixty percent of all homes, have air conditioning (AC) systems in the United States alone – a considerable increase from just around two decades ago, in the early nineties, when less than seventy percent of all homes and residential buildings had AC units. From choosing a clear coat for painted wood to looking into nursery paint, there are a number of considerations to take regarding the color of the paint (as even a clear coat for painted wood may come in slightly different shades and tones) as well as the safety of the paint that you choose as well as the painting process. If you are someone (or know someone) who has drafty or broken home windows, you have come to the right place for some helpful information on how to fix them. 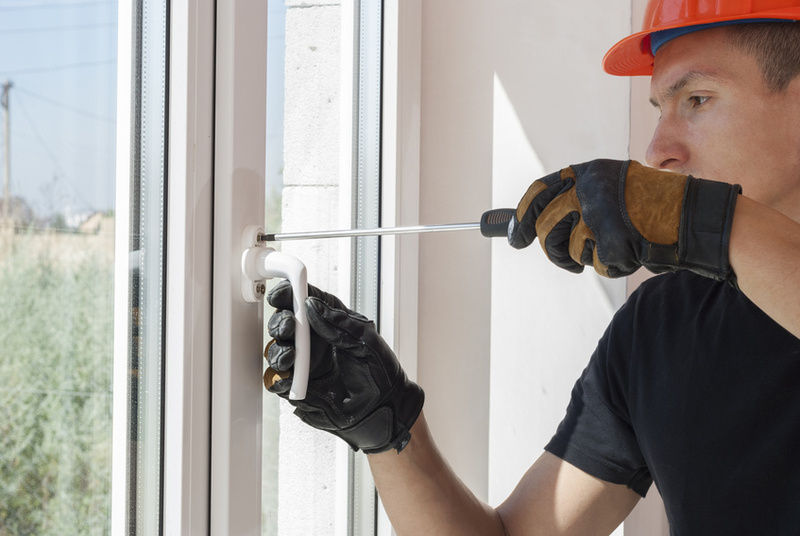 Consider, that drafty or broken home windows can have many unfortunate side effects (such as higher bills or even break-ins) so it is imperative that you consult with a commercial window replacement company as soon as possible. Keep reading below for additional information pertaining to home window repairs. 1. High-quality home windows are able to last for numerous years, so consider investing in a company that can get the job done right. If you are someone (or know someone) who is remodeling or investing in a home, consider that it is imperative to invest in a roof that meets not only safety standards but also aesthetic standards too! Consider, that there are many varieties of roofing (such as a hail proof roof or a colored roof. Another important thing to keep in mind is that there are many roofing contractors to choose from, so be sure to do your research and find a roof that meets all your needs and requirements! Keep reading below for additional information regarding roofs! 1. 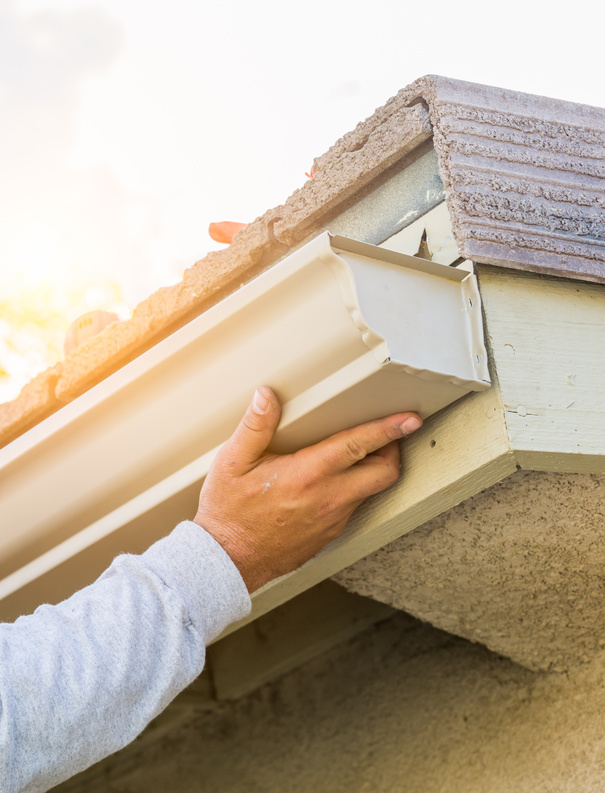 When it comes to inspections, be sure that your roofing installation is reviewed about one or two times a year to ensure that your house is safe from the elements. Did you know that 93% of homeowners are considering a countertop update as part of their kitchen renovation? Most of them are planning on implementing natural stone materials. One of the most popular stone materials to use for kitchen countertops is granite. Here are a few reasons why. Since granite countertops are made from thick slabs of rock, you know immediately that they’re going to be tough. Granite doesn’t chip or scratch easily, and if you drop a cup or dish on your granite countertop, guess which will break. Having a tough and resilient material for your countertops is essential to all the chefs out there. Made from interlocking crystalized minerals, granite has a rich depth to its aesthetic. From deep, consuming blacks and grays, to fair flecked tans, granite can span the color spectrum for that extra personal flair. Nope. Granite countertops don’t depreciate. In fact, they often add value to a home. This is due in part to their overall quality and durability, and to the visual appeal they provide in the kitchen. Perhaps the best feature for all the chefs out there, granite has incredible heat resistant qualities. This means if you want to take a hot pan off the heat and set it somewhere to cool, your countertop is an acceptable option. Some people might see this as a negative, but once you install granite countertops, you’ll never have to worry about them again. This is because of their durability, their labor-intensive installation, and the fact that they glue onto your cabinets. That said, you can consider these countertops a one-time investment that can save you big in the long run. Choosing new countertops for your kitchen is like choosing new carpets for your living room. They both cover a lot of surface area, and once you make the decision, you’re mostly stuck with what you decide. That’s why it’s important to spend some time considering what you want the most. If you have any questions about how to choose a countertop, don’t hesitate to contact us today for more information. How Do I Perform Maintenance On My Major Household Appliances? The average cost to repair a major household appliance in 2014 was between $254 to $275. It is a good idea to plan for repair jobs by building a fund for just such emergencies. It would be an inconvenience for most homeowner’s to be without a washing machine for a few days. But to be without a refrigerator for even a day is difficult without advance planning. Here is your quick guide on maintenance and repair for common household appliances. 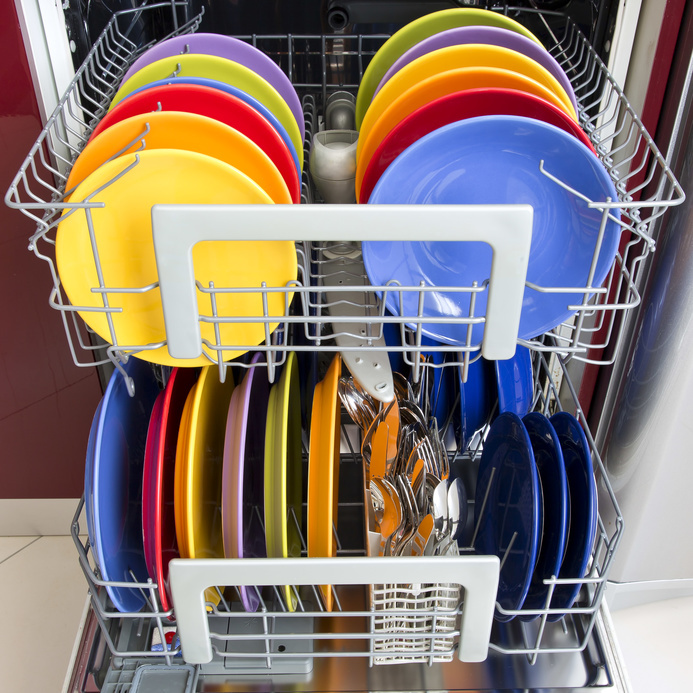 What to Do If You Don’t Know How to Take Care of Your Major Household Appliances. Author DIY Projects for HomePosted on April 7, 2018 Categories Dishwasher, Dryer, Refrigerator repair frankfortLeave a comment on How Do I Perform Maintenance On My Major Household Appliances? You never knew that owning a home would be so complicated. In fact, when you had previously driven through the neighborhood you knew that you loved the look. You never realized, however, that the look was a result of some pretty restrictive neighborhood covenants that require permission for almost any kind of exterior home improvement project. 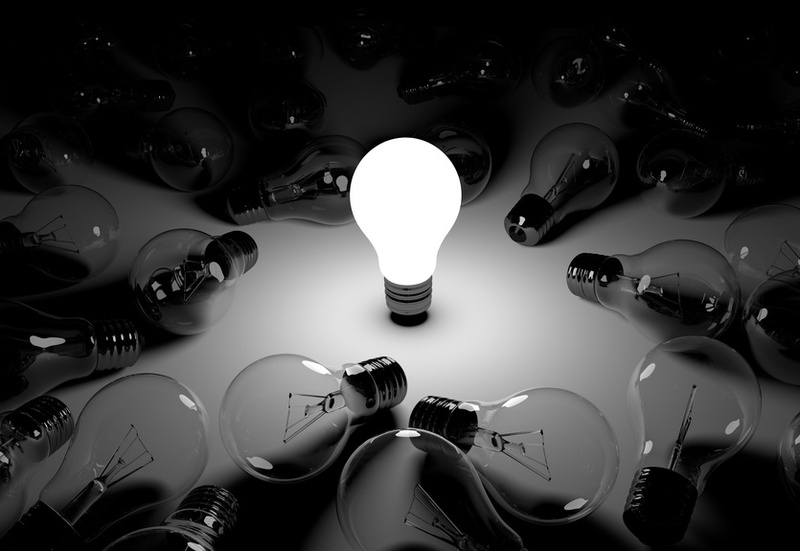 The snow has melted, the temperatures are warming, and you have the outdoor lighting service scheduled. With some pretty significant plans to upgrade the landscaping around your home, you have decided to work with a landscape lighting company before you begin. You have some of your own plans, but you are certain that a professional team will help you more carefully consider the outdoor lighting ideas you want. Where Did the Induction Lamp Come From? Induction lighting was actually first imagined by J.J. Thomson the Nobel laureate and demonstrated in the 1890s by Nikola Tesla. It was not really practical to produce induction technology, however, until the 1960s and 70s, and only in the 1990s did the induction lamp start to come into regular use. However, there is still more potential for this type of lighting, and ways it can be improved. How Does the Induction Lamp Work? There’s nothing quite like a bed of flowers or beautiful lawn to bring your home together. Many welders know the importance of properly purging equipment. Purging is done in order to ensure an area is protected while contents are being removed or added. In many cases, a vast majority of the 500,000 welders employed throughout the United States will need to work on purging equipment at one time or another. It’s understandable to wonder about which types of purging equipment for welding are going to be needed. With that in mind, here are three important pieces of purge equipment to utilize during this very important task. Back as far as at least 2500 B.C., our species was enjoying some sort of indoor plumbing or another. It has certainly been further developed since that time, but it is interesting to think about the ingenuity and innovation that has been occurring for centuries and millennia. These days, modern indoor plumbing is essential to most people’s way of life within this society. But just because it is standard does not mean that everyone is an expert. 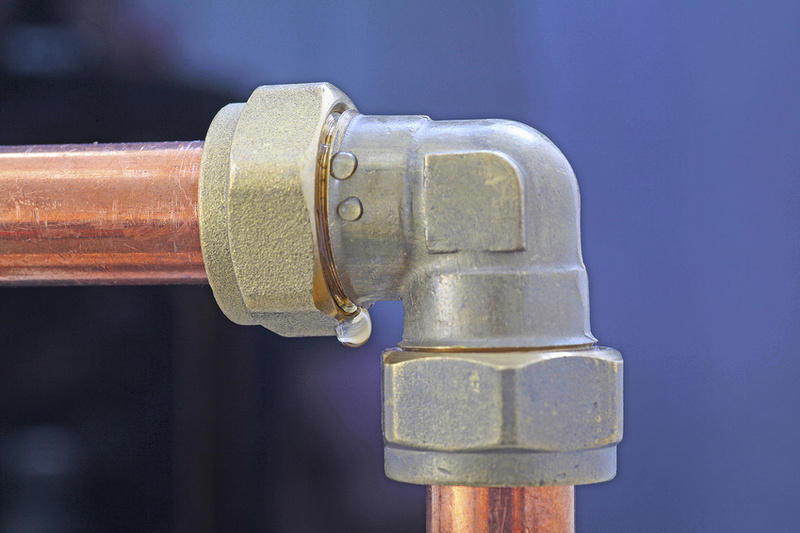 It is important to have a professional check out your home’s plumbing and septic systems on a regular basis to perform routine maintenance and screen for potential issues. The daily demands of homeownership can make it easy to forget about your furnace, but neglecting to maintain your heating and air conditioning system can have serious consequences. DIY and professional heating and cooling maintenance is the best way to avoid the hassle and expense of major HVAC repairs, such as system breakdowns. Furthermore, a happy furnace also means a healthier, safer home! 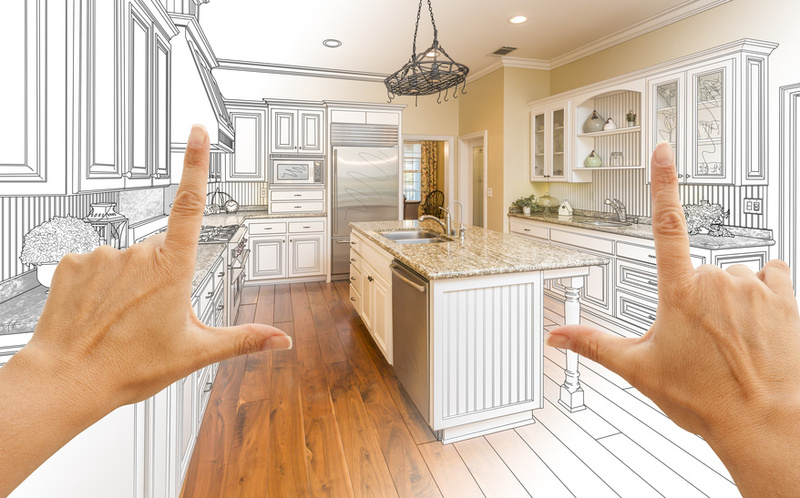 When you want to renovate your home, the best plan is often the most simple. You don’t need to go all out with the most expensive supplies or focus too hard on an elaborate makeover that takes weeks and weeks to finish. Sometimes a simple touch-up can be all you need to give your home a brand-new feel. Wood primer and anti slip paint is a great choice for new mothers, sensitive families and experienced homeowners alike, creating a strong barrier between your home and gradual damage. Unfortunately, there are too many products on the market less concerned with your health and more concerned with making a quick buck. If you own a home with a lawn, you probably care about the way it looks. Surveys show that a full 83% of all people in the United States say that it is important to have a lawn and more than 90% of the people who agree with that keeping lawns looking great is also important. If you are concerned about the look of your lawn, there are things you can do to keep it looking its best. Modern windows are highly designed for safety, security, energy efficiency and aesthetics, which is a key factor in today’s property market. From windows made from wood to metal frames, and now materials like fiberglass, vinyl and composite wood, it’s evident to note that the new window technology has improved greatly. 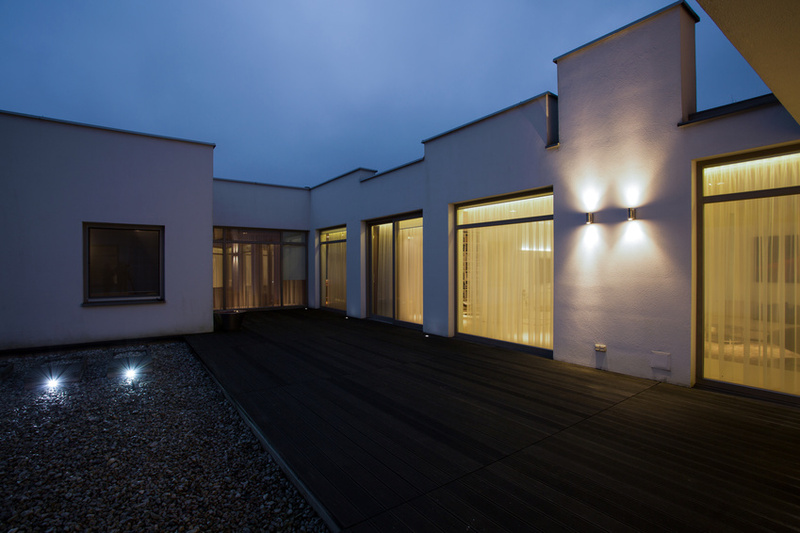 Home windows contribute a lot to the lighting system in your house. In fact, they are a system by their own definition as they help to regulate light coming from outside. Is your home ready for winter weather? If you haven’t turned your heat on yet, you may want to have your system inspected before you really need it. When you keep your heating system well-maintained and in good repair, there’s a good chance it will perform well. Since it’s not unusual for the power to occasionally go out during storms, you’ll also want to make sure your back-up generator is in good repair and that you have enough gasoline stored for up to a week or so. There is a scene in the movie Hustle and Flow, a quasi-drawn from real life picture, where the individual, the protagonist, papers his walls with cardboard cup holders. It’s an old house in a poor neighborhood in Memphis, where he doesn’t want to disturb his neighbors (or give away his sick beat). He’s attempting to rap to a hip-hop hook and the movie, which stars Anthony Anderson and Terrence Howard among others, focuses on an individuals–a pimp in this case–trying to make it big with one hook. It’s an attempt that includes all the focus on the music within the movie and that big moment when he alters the walls of the room to provide noise canceling. Homeowners often forget how important their HVAC system is until it malfunctions, which seems to happen at the most inconvenient times. Although it’s important to schedule routine professional AC repair services as part of a seasonal maintenance regimen, there are many things homeowners can do right now in order to prevent costly AC repairs down the road. Selling a home takes time a patience. Today’s home buyer has options, with the crash in the housing market leading to lesser priced mortgages and property values than in the past. 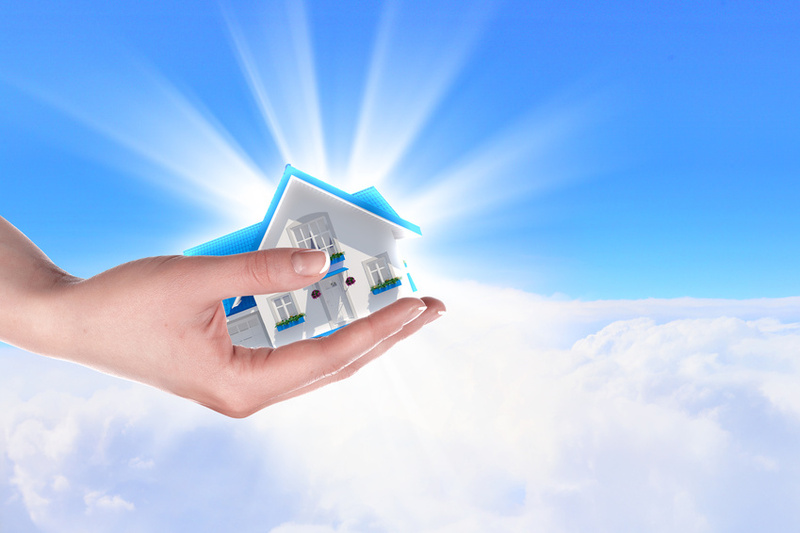 Finding the right way to appeal to a growing segment of the market that is looking for more than the next house–a home if you will–is difficult and time-consuming. Also, it may cost a lot of money. Today, homeowners struggle with the basic finances needed to help their houses grow as investments, even as property values stagnate or even decrease around them. 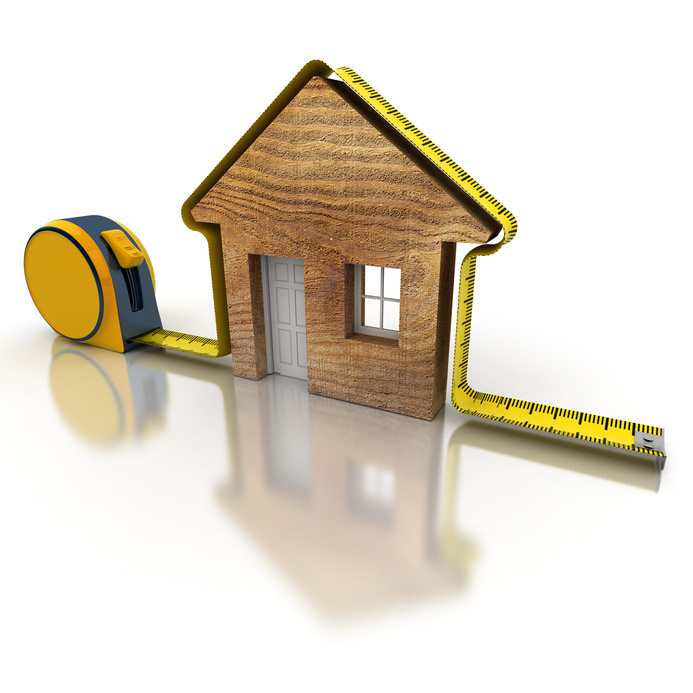 Property values have the tendency to rise and fall in accordance with other properties; a big development near you may raise your property value and impact your mortgage. A room typically has many functions. It may be a place to unwind after a busy day at work or serve as a workplace for that matter. Also, a room may function as a dining area for you and your family to enjoy meals together. That’s why experts recommend having the lighting features match the theme, layout and application of each room. For instance, bedroom, kitchen, study room and living room will often have varying lighting effects. To achieve this, you need to consider installing these three basic types of lighting ideal for the interior of the home. They are general lighting, accent lighting, and task lighting. Would You Like to Save Energy and Reduce Your Heating Bill This Winter? Here’s How! Chances are that you’re well aware about the costs associated with heating and cooling your home. In a typical home within the United States, this usually accounts for about half, or 48%, of overall energy usage. While 57% of the homes within the United States use natural gas to heat their homes, others may use electricity or other means, such as commercial boilers. Many older homes and apartment buildings may have commercial boilers to heat up their living spaces as well. Author DIY Projects for HomePosted on November 28, 2017 Categories Air conditioning cloquet mn, Commercial boilers, Mini split systemsLeave a comment on Would You Like to Save Energy and Reduce Your Heating Bill This Winter? Here’s How! If you are like most homeowners (or renters), you do not spend a lot of time thinking about your heating, ventilation and air conditioning (HVAC) unit. Most people avoid thinking about theirs unless there is a problem and that is never the best time to look for HVAC repair companies to help. If your system is having issues, the chances are good that so are lots of people in your area. There are some things you can do to help your system run smoothly without having to call an HVAC services company to get your unit running again. Are You Preparing to Select Lighting Fixtures for Your New Home? You are down to some of the final steps of planning for the new house. One of the things that is left, however, seems a bit overwhelming. 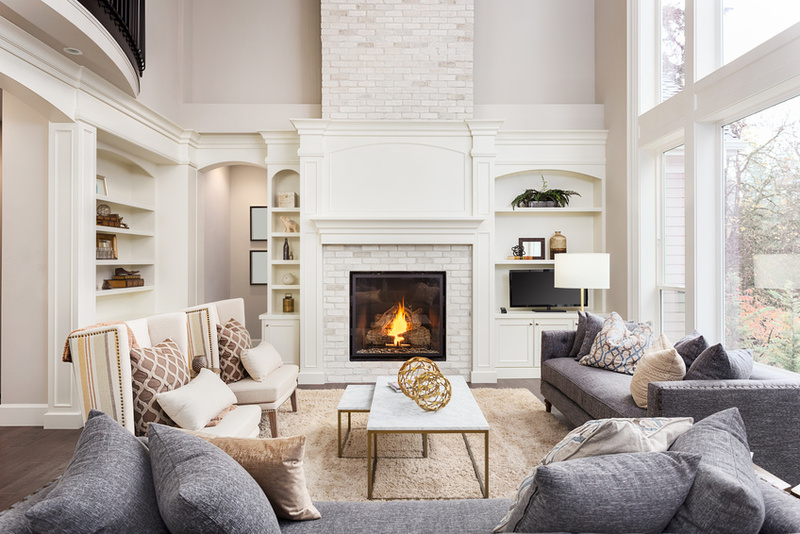 Although you find yourself admiring the lighting fixtures in other people’s homes, you have never really had to pick any of those fixtures out for yourself. Author DIY Projects for HomePosted on November 16, 2017 Categories Bowery lighting stores, George kovac lighting, Hunter kensington ceiling fanLeave a comment on Are You Preparing to Select Lighting Fixtures for Your New Home? Why Is My HVAC System Being So Loud? 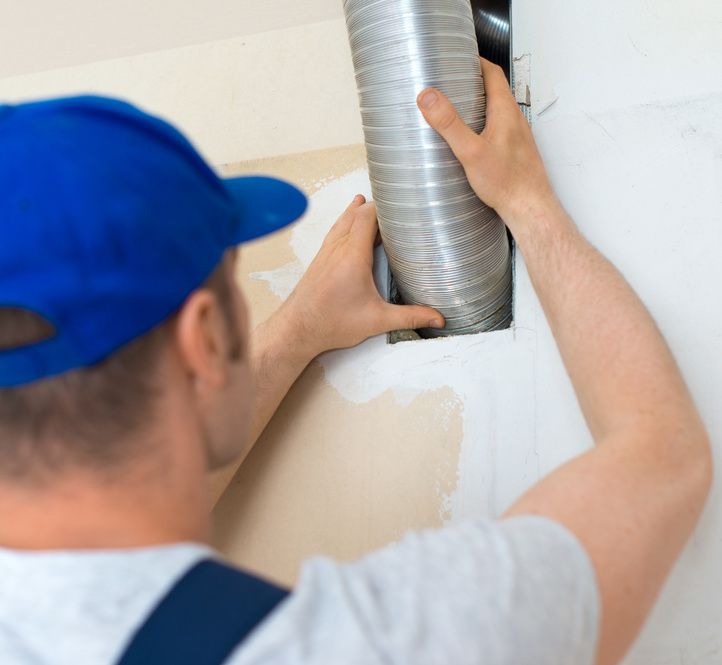 Even when you clean your air ducts every three to five years and receive routine HVAC maintenance on your heating and cooling system, sometimes things can go wrong. In this case, your HVAC system is being strangely loud. But how can you determine whether or not your HVAC system’s suddenly loud sounds are worth being concerned about? Should you call your HVAC company? Because your system can use up to 48% of your home’s energy and because it may be dangerous if left unattended, having your system looked at by your HVAC company may be a good idea. HVAC systems typically make sounds when they’re working properly. 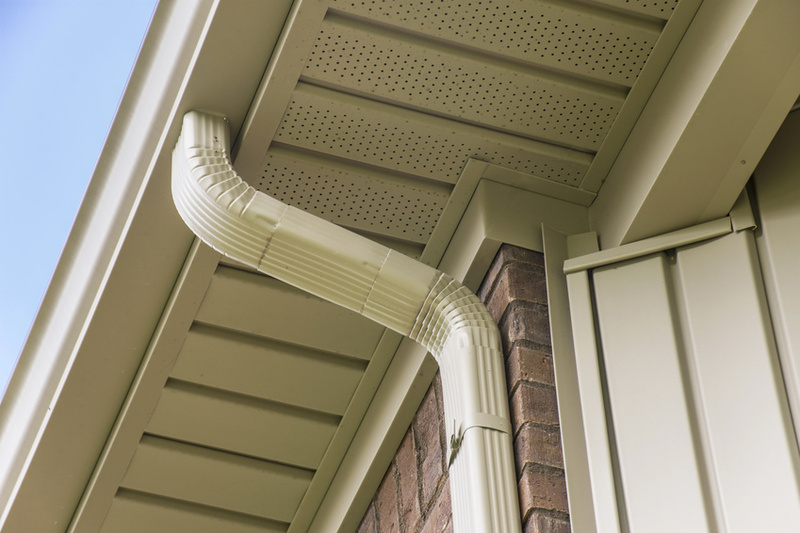 These sounds consist of a low humming, which is the fan and motor that allow the system to properly function. Additionally, you’ll most likely hear the sound of the air coming through the vents as well as the occasional thump or a squealing sound when the system itself turns on or off. 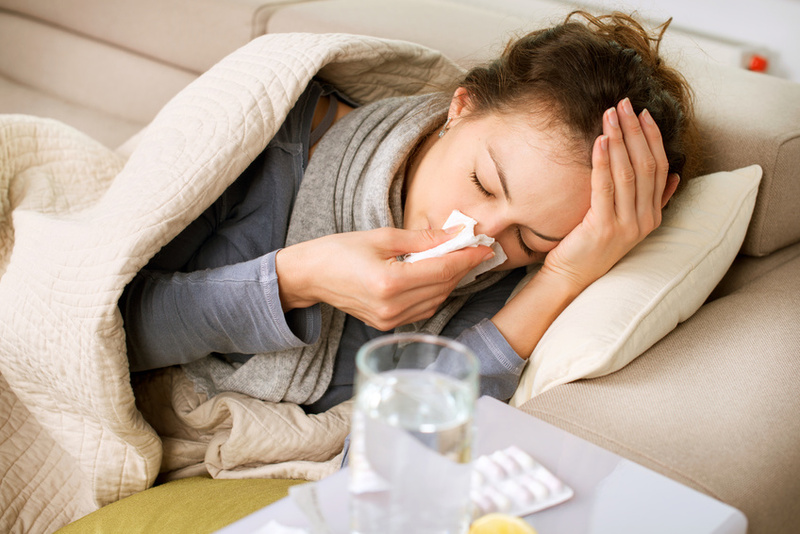 Being worried about the sounds of your HVAC system is a good thing. It’s better to be safe than sorry. But one of the best ways to determine whether something is truly wrong with your system is being able to differentiate the normal humming of the motor and any new noise. When an indoor unit is being noisy, it’s most often caused by the blower motor or even a bad belt. When these parts are old or loose inside of the system they can make rattling, banging, screeching, or squealing sounds. Clicking sounds coming from your system often means the thermostat is failing to start up and is having difficulty activating the system. In the case of outdoor systems, when there’s a deep rattling sound it may be a sign that there is debris caught in the exhaust fan. Debris can sometimes make its way into the system despite the grate protecting it from the outdoors. This is often the case when there’s been a strong thunderstorm. Turn your system off if it’s making loud noises and look to see if there is any debris inside of the grate. When your HVAC system begins making sounds that are unfamiliar to you as a homeowner, it’s understandable to be concerned. 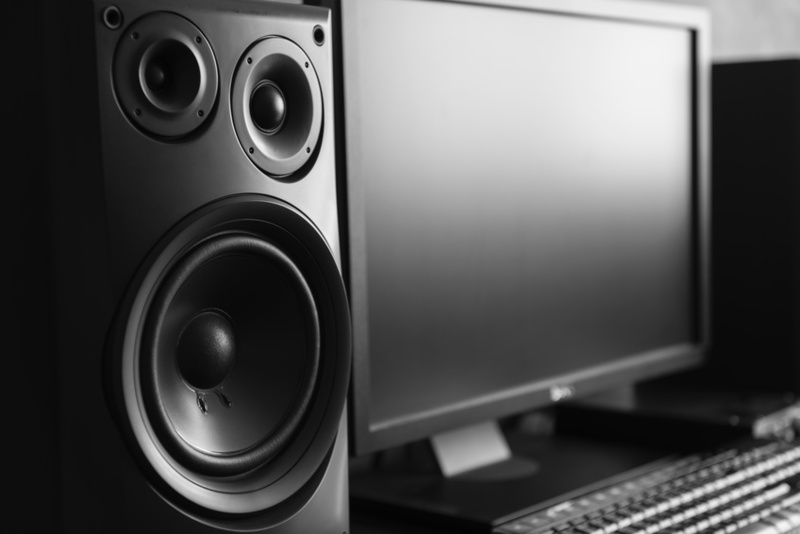 If your system is being uncharacteristically noisy, it may be dangerous to let it be without having it looking at by a professional. Contact your HVAC company today for a better understanding of what’s making your system so loud. Author DIY Projects for HomePosted on November 13, 2017 November 8, 2017 Categories Heating and air conditioning, Heating and air conditioning repair, Heating and air conditioning service, Heating and cooling companies, Heating and cooling service, Heating and cooling systems, Heating and cooling unitsLeave a comment on Why Is My HVAC System Being So Loud?